Based in Melbourne, Paul leads the Operation’s Engineering Team with the goal of ensuring that cost effective client focused risk engineering solutions are delivered efficiently within Australia and New Zealand. In this position Paul is responsible for all aspects of our engineering product delivery, with a particular focus on the quality and efficiency of our products from the clients’ perspective. Paul is our expert in Cyber Assesments, FM Global Analytics and Global Flood Maps. Paul joined FM Global in the UK in 1994 and has worked in a number of roles, including Field Engineer, Training Specialist, Account Engineer and Group Manager before moving to Australia as Engineering Manager in 2010. 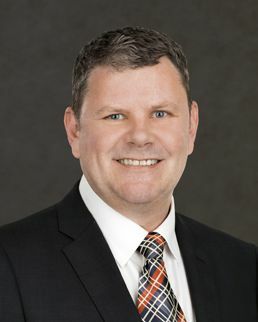 Paul holds a Bachelor of Engineering degree in Electrical Engineering from Nottingham University and is a Chartered Professional Engineer and Registered Professional Engineer in Queensland.